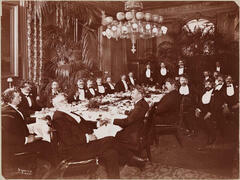 Museum of the City of New York - Social Functions - Dinner - Given by or for Harrison Grey Fiske Winter 1900-1901. Social Functions - Dinner - Given by or for Harrison Grey Fiske Winter 1900-1901. 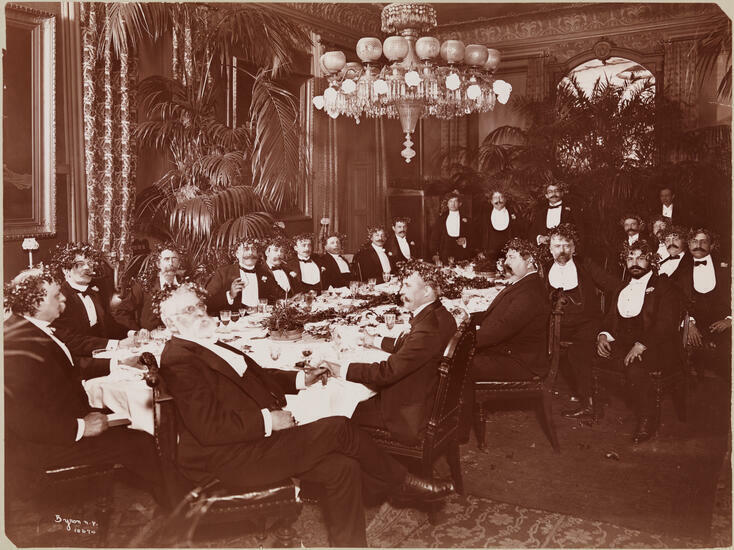 Group portrait of twenty-two men seated around a large dining table at a dinner given by or for Harrison Grey Fiske.